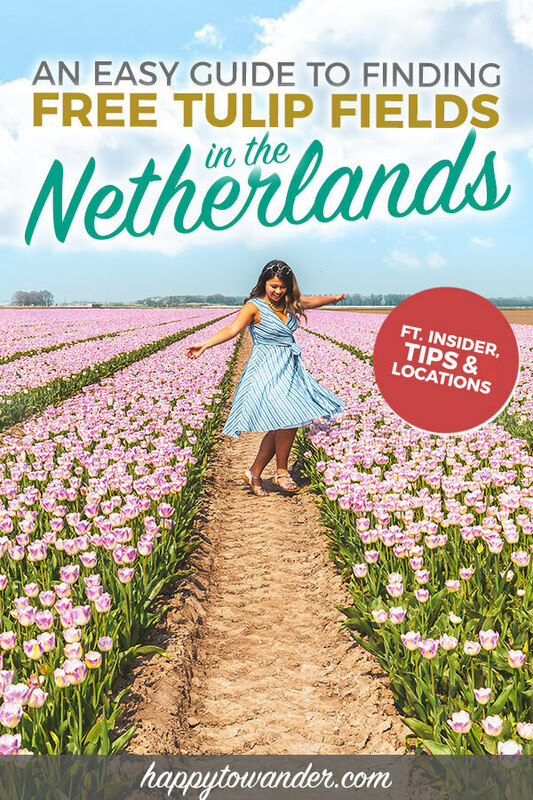 Free Tulip Fields in the Netherlands 2019 : Insider Tips on Where to Go! 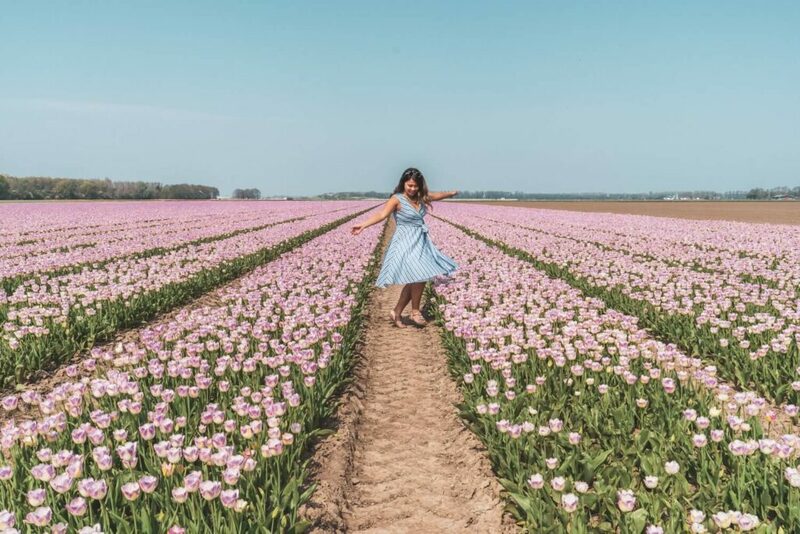 Frolicking around free tulip fields in the Netherlands is the stuff of dreams, particularly when a twirly dress is involved. 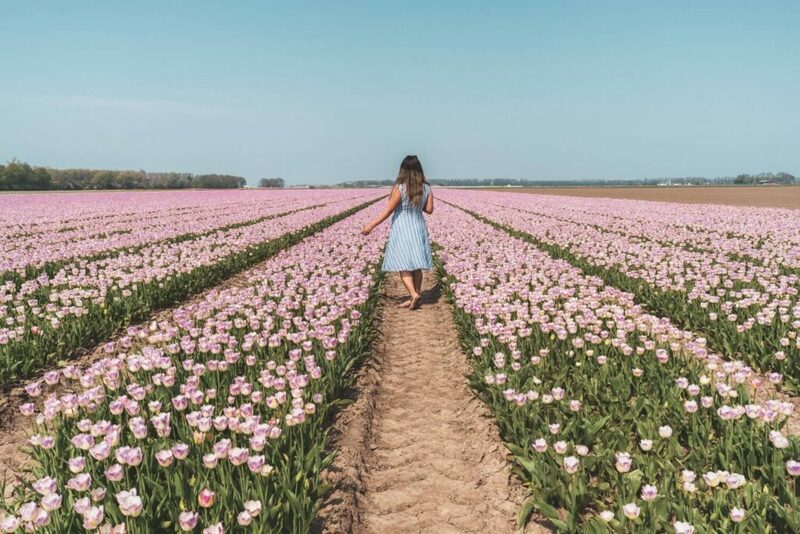 Of course then, it’s no surprise that I recently found myself on a pilgrimage of sorts to the Netherlands, where I would find all the tulips my heart could ever desire, and twirl to my heart’s content. Eager visitors from around the world scramble to visit Keukenhof every year in search of tulips, but in a fateful turn of events (and thanks to my awesome friend Kristy from Tassie Devil Abroad), I ended up skipping the famed Keukenhof in favour of some amazing & free tulip fields in the Netherlands you might have never heard of, in the fun-sounding province of Flevoland. Wait – why not Keukenhof? If you’re currently reading a blog post about chasing tulips in the Netherlands, I would eat my hat if you told me you haven’t heard of Keukenhof. Keukenhof is like the mac daddy of all tulip chasing locations, known around the world for its perfectly sculpted gardens and endless supply of tulips (and tourists, in equal measure). 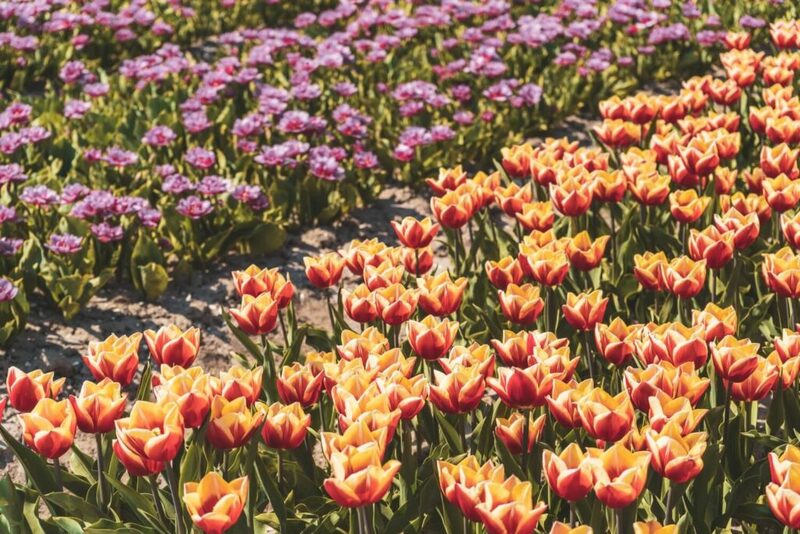 Boasting over 7 million bulbs, it’s no wonder Keukenhof is known as the ultimate destination for tulip lovers. It had always been my dream to see these gardens for myself, which is initially why I timed my visit perfectly to the Netherlands for tulip season. Ultimately, I didn’t end up going. This was for a variety of different reasons, the primary reason being that I timed my visit so poorly that I ended up arriving on THE busiest day of the year at Keukenhof, the day of the parade. Thinking about the crowds, the traffic jams, and the lack of personal space was enough to already make me break a sweat. Added onto that the cost of admission (it’s not cheap, folks), I decided to give it a miss this year. Also, my main dream was to see the endless sprawling fields of tulips, and while there are certainly many of these fields around Keukenhof, the actual garden itself is more of a manicured display of tulips – gorgeous in its own right, but not exactly what I had been seeking out in my mind. And so, a few Instagram DMs later, a plan was hatched for me to join Kristy on her Sunday tulip chasing exploit (AKA me third wheeling her romantic date with her partner, but hey a girl’s gotta do what a girl’s gotta do). 2019 UPDATE: I did end up going to Keukenhof this year and surprisingly loved it! Here’s my guide to surviving Keukenhof and making the most of your visit. 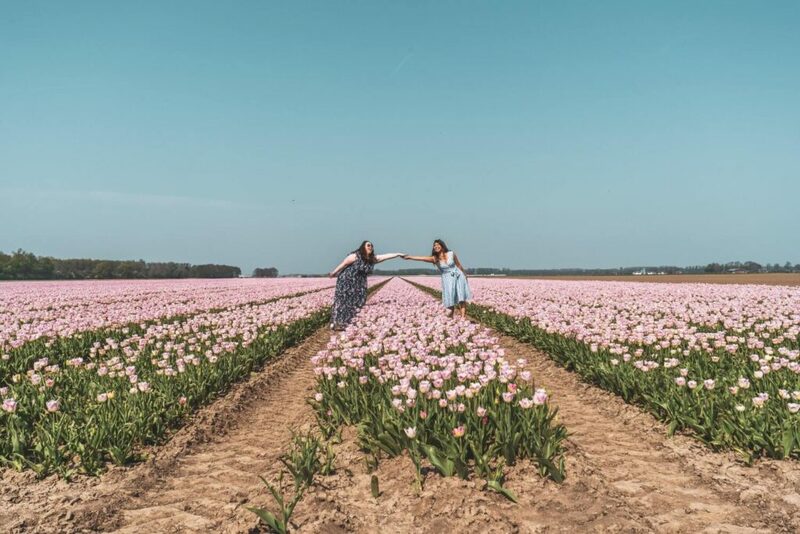 While the area around Keukenhof and Lisse are undoubtedly the most famous, the province of Flevoland is actually where you’ll find the largest tulip field area in the Netherlands. Leaving from Lelystad, we visited several awesome fields by car, and it was absolute bliss. 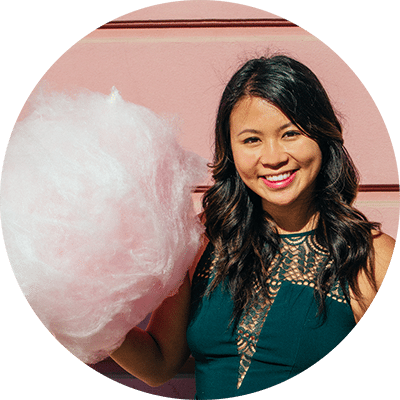 Check out Kristy’s blog post about it here for more details on where to find the fields, alongside exact routes and awesome resources for your tulip chasing exploits. Pssst – while we stuck to fields close to Lelystad, Noordoostpolder is where you’ll find some of the biggest fields. Every year they introduce a new tulip route that’s part of their Tulip Festival, where they bust out dozens of activities like carriage rides and show gardens. You can find out more on their official website here. Without further ado, here are a million photos you didn’t ask for. Keep scrolling if you want more info other free tulip fields in the Netherlands! All these views for FREE.99!!! 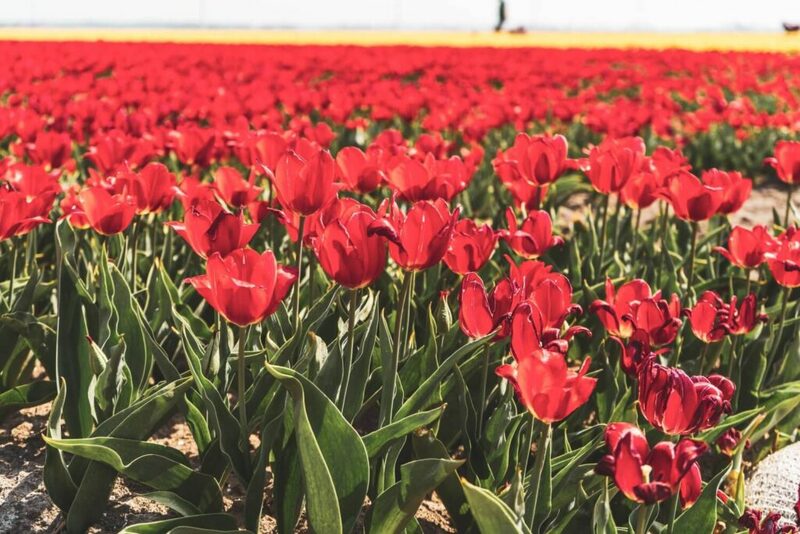 If you’re looking for other places to enjoy all the tulippy goodness for free, here are some other free tulip fields in the Netherlands for you to enjoy. 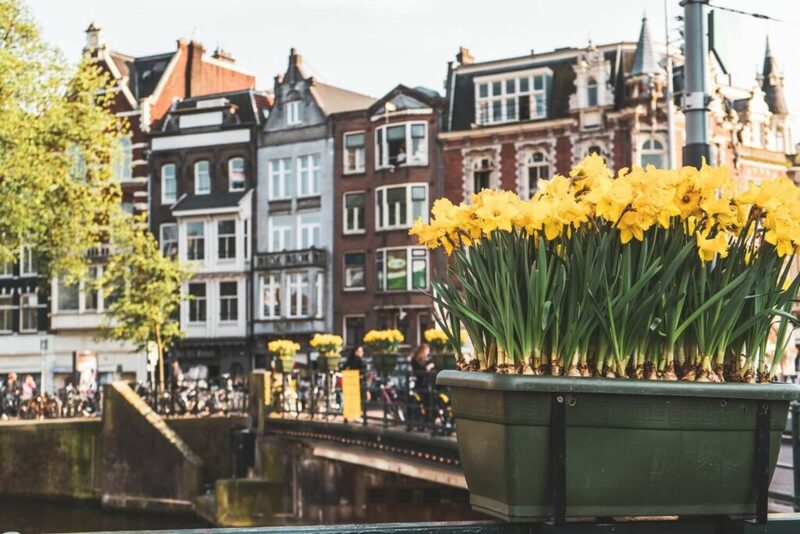 If it’s your first time in the Netherlands, odds are good that you’ll eventually find yourself in Amsterdam. While there aren’t gigantic, “far as the eye can see” fields of tulips stretching through the city (one could dream, right? ), the city does plant tulips in special spots in celebration of its annual tulip festival, which takes place all throughout April. With over 80 participating locations, odds are good that you’ll magically stumble upon a display or two, but you can access a full list on the official festival website here. PS: For a sure bet, you can also get your fill of tulips at the famous Bloemenmarkt (Flower Market), although to be honest, it’s a bit touristy for my liking. 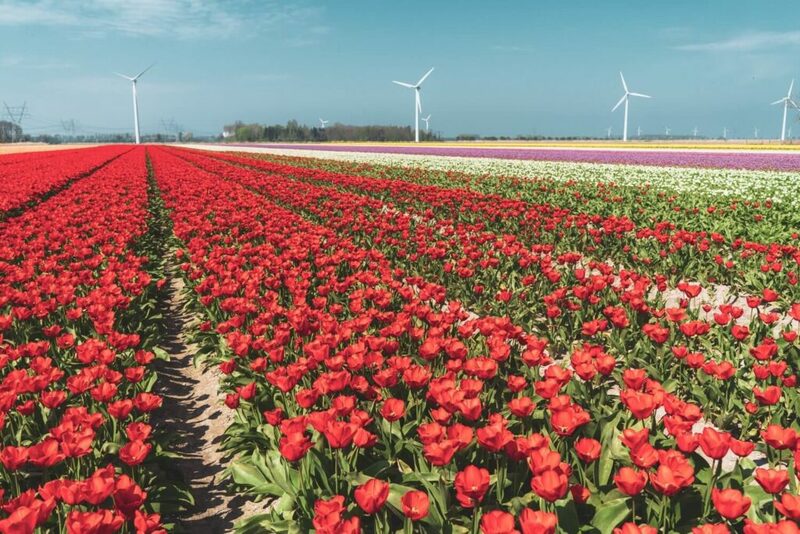 Another way to see free tulip fields in the Netherlands is by cycling The Flower Strip (which is a cute little name they’ve given the route from Haarlem to Leiden). 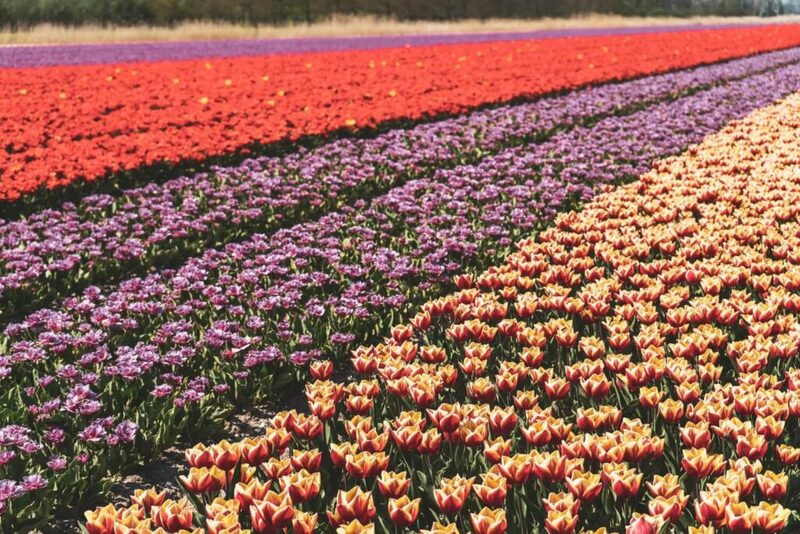 This 35km stretch of flat land brings you past all the colourful tulip fields you’ve always dreamt of, with sign-posted routes that (I’ve been told) are fairly fool-proof. Many choose to do this route starting from Haarlem (which is about 20 minutes away from Amsterdam by train) although doing the route partially is possible too (see below). For more details on cycling this route, check out this sweet blog post from Lost with Purpose. If you don’t feel like cycling the entirety of the Flower Strip, here’s another lazy option. Just outside of Keukenhof is where you’ll find plenty of gorgeous, sprawling tulip fields – all free for you gawk at. By using public transport to get to Keukenhof, you can then rent bikes there and embark on one of the four marked cycling routes that take you around to different fields. REMEMBER: Don’t lose all common sense and just cycle through the fields, destroying everything in your path. Obey the signs, don’t trespass and don’t be reckless all for the sake of a photo. Home to the world’s single biggest flower bulb field and supposedly where many locals prefer to do their own tulip hunting. Found about an hour north of Amsterdam by train, this lovely area is filled with not just flowers, but quaint little towns (like all of the Netherlands) and beaches too. 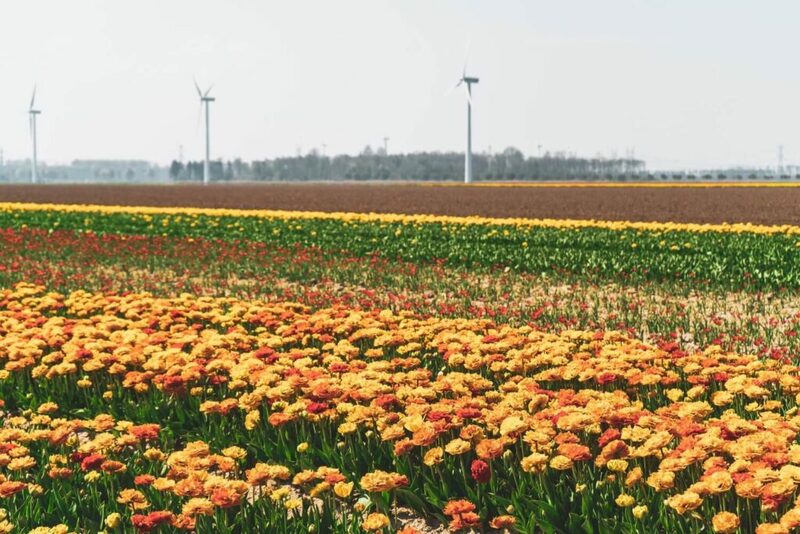 This blog post from the Visiting the Dutch Countryside sums up the best way to get there and see the fields. Of course, it’s the Netherlands so you can’t expect incredible sunshiney weather all the time. I somehow got extremely lucky and witnessed a day of outlandishly good weather, which is (as I’m told) is rather rare. 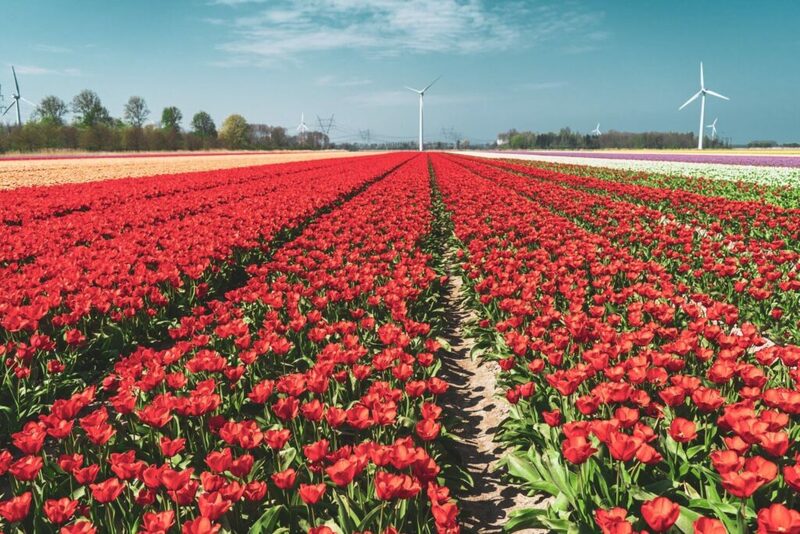 Any more questions about visiting free tulip fields in the Netherlands? Wow! How fabulous to discover tulip fields away from the big tourist crowds. My mother’s family are Dutch, so I’d really like to visit them one day. Beautiful photos. Love that you managed to find non-touristy tulip fields! I’d love to see them, but I’d much rather do it this way! So uhh, question is, WHY AM I NOT IN THE NETHERLANDS RIGHT NOW?!? I love places like this, where there’s a “tourist-free” option. So many places are just too crowded. The pictures are gorgeous. Tulips fields have long been near the top of my list. We missed the tulips when we were visiting (wrong time of the year) and definitely need to return to see them. Great post. Ommmggggggg I CANT WAIT UNTIL TULIP SEASON!!!! I also love that you pointed out the importance of being respectful of the flowers! This is such a detailed post. I’m loving the pictures! I really fancy cycling through tulip fields! My next trip to Amsterdam is to see the tulips, so this is super handy.